This Handbook is designed for participants on the Soul course. “Soul” is a life-changing journey through the Gospel of Mark. In seven interactive sessions, plus a day away, teenagers and young adults will find out what Christians believe, discover the Bible’s answers to the big questions of life and explore what Christianity is really all about. 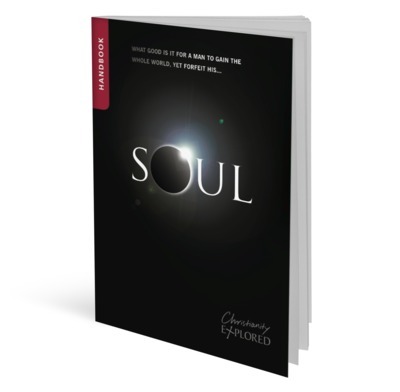 “Soul” is the new name for the 14+ part of the original CY course from Christianity Explored. This is the second time I have used this course and both times it has proved invaluable. Each session is very straight forward and it allows for the young people coming a chance to discuss what they think in a very relaxed way. I tend to use the video's as it allows discussion without it being too preachy. We have found, unsurprisingly, that some who have grown up in the church and have a bible-based background find it much easier in the first parts of the session. The un-churched ones find this part much harder to engage with. The second half, from the video onwards, it actually switches and the un-churched, we have found engage with that far more than the churched ones do. It allows for everyone each week to feel as though they have got something out of it for themselves. Also through the course many have made a step further towards making a commitment to following Jesus, so i can't recommend it highly enough.